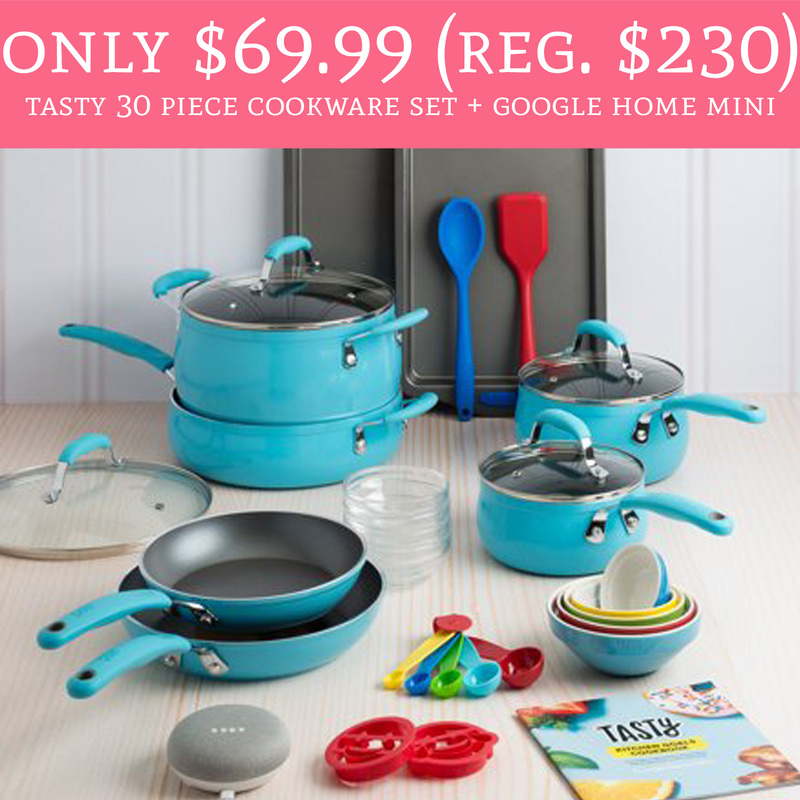 Head over to Walmart.com where you can order the Tasty 30 Piece Cookware Set + Google Home Mini for just $69.99 (regular $230). Plus, shipping is FREE! This deal sold out super fast the other day so you won’t want to miss out! The Google Home Mini is $50 by itself so this deal is INSANE! Order yours here!